Issues such as building design, building improvements, stall design, air quality, barn location, feed center location, cow flow and comfort, and bio-security of purchased animals need to be addressed properly to allow for the best success of any farm improvements or dairy expansions. Veterinarians at Dairyland Veterinary Service will create management protocols to fit the needs of your specific operation. Planning daily work schedules, designing treatment protocols, breeding programs, parasite control programs, and vaccination schedules is done to fit the need of a particular operation’s needs. Ultrasound provides earlier pregnancy diagnosis, more accurate management of the reproductive cycle, diagnosis of twins, and optional fetal sexing. Our doctors can work with you to set goals and design a goal sheet specifically for your situation, tracking the information that will help you indentify problem areas. Click to see a sample Goal Sheet and a data collection sample sheet that includes areas we can track. While we can culture milk in-house, by culturing on the farm, dairies can quickly and inexpensively identify and address milk quality issues. Click to see a milk culture kit content sheet, milk culture record sample, common culture findings, and information on the use of intramammary mastitis tubes. 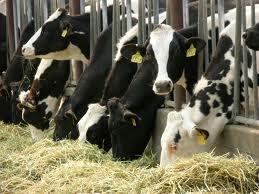 We can work with farms to establish a down cow protocol and conduct training. Click to see FAQ, Down cow manual, and a links concerning managing down cows and practical euthansia protocols. Have the nutritional needs of your herd evaluated by a Dairyland Veterinary Service large animal healthcare professional. Services are available ranging from simple supplement and feed program evaluation to complete ration balancing and inventory management. 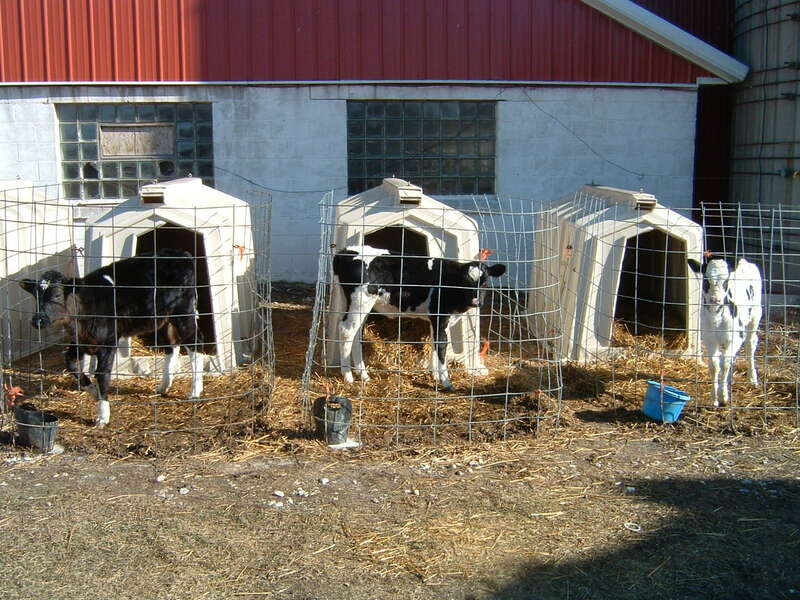 Click to see a sample wet calf record and winter feeding schedule. 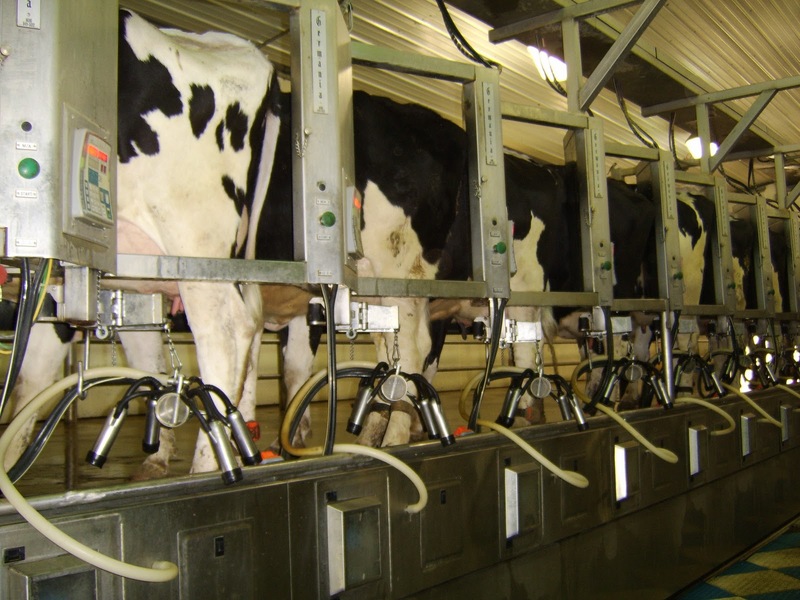 Many parameters have to be met in order to achieve quality milk. Dairyland Veterinary Service has a strong desire to help dairy producers attain and or keep quality milk, which translates to a better product for consumers and more profit for the producer. By comparing existing milk quality with goals, we can identify missed profits. Click to see samples of a Financial Impact of Milk Quality Analysis and our Information Sheet. Contact the office to discuss services provided with Dr. Mike Heiman.